The days are getting shorter, the air feels crisp, and there’s more rain in the forecast. Our shop has your back, and your toes, and your fingers. 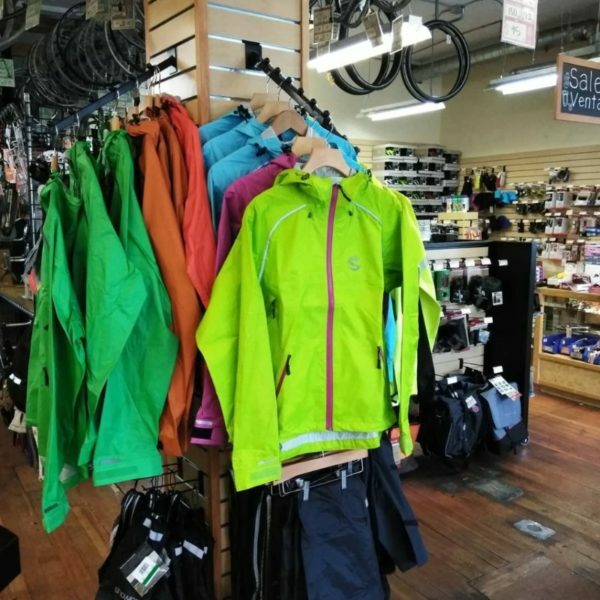 We have a full selection of fenders, lights, gloves and rain gear available, and last year’s remaining stock of Shower’s Pass rain gear is on sale! Please also note that we switch to fall/winter hours effective October 1st. That means we will be open 10-6pm, seven days a week, until spring, (when we extend to 7pm again). Please come by, say hi, and let us set you up for fall and winter riding conditions!